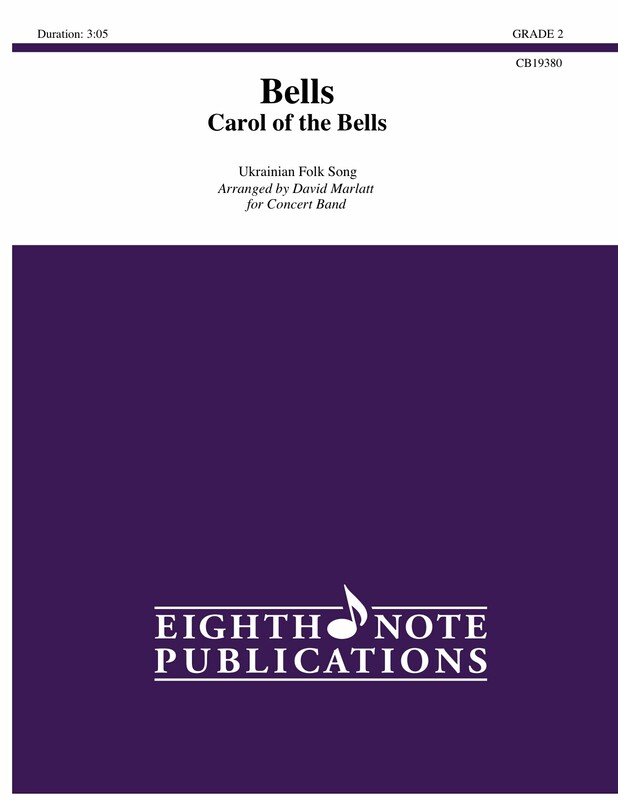 Carol of the Bells is a based on the Ukrainian chant Shchedryk. This version of a holiday classic features both the winds in various roles and the percussion in an extended mallets trio section, where all the wind players rest and it is the percussionists time to shine. Lots of percussion colors are explored here with separate players each required to play bells, xylophone and vibes. This is something a little different at Christmas time with a modern, rhythmically interesting version that is fun to play and listen to.